It’s not every day that you run into a wild reptile in Scotland. After all our climate can hardly be described as tropical, despite all our efforts on the global warming front. 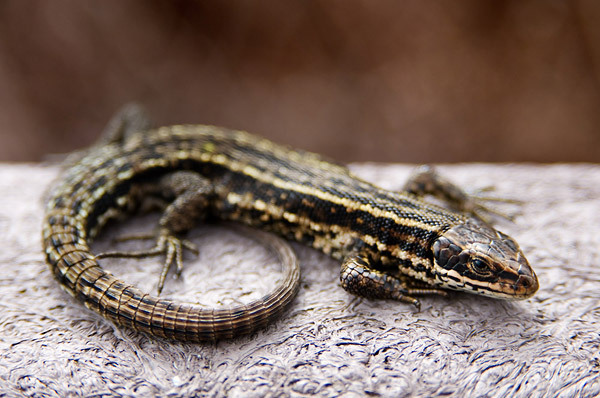 However there are certain places where lizards and snakes thrive; you just have to know where to look. 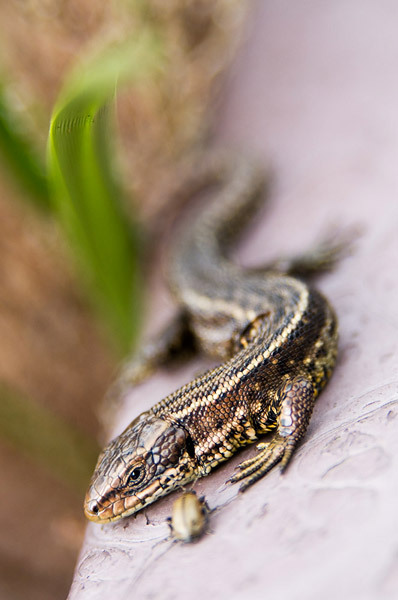 These shots of Common Lizards, also called Viviparous Lizards due to the fact they give birth to live young, were all taken at a nature reserve about a half hours drive from home. About nine different lizards were seen over an hour or so including some very small, black coloured young. This lizard was quite happy to sit and pose for the camera, allowing me to get within a few inches. I was quite surprised when this beetle approached and climbed over the lizard without being eaten; I’m guessing they don’t taste very good! Some ok shots, although it’s a shame most of the lizards were sunning themselves on the man-made board walk instead of a more natural setting. Well worth another visit to perfect on these and search for the ever elusive Adder.